This past February Sam and I got to stay (our second time!) 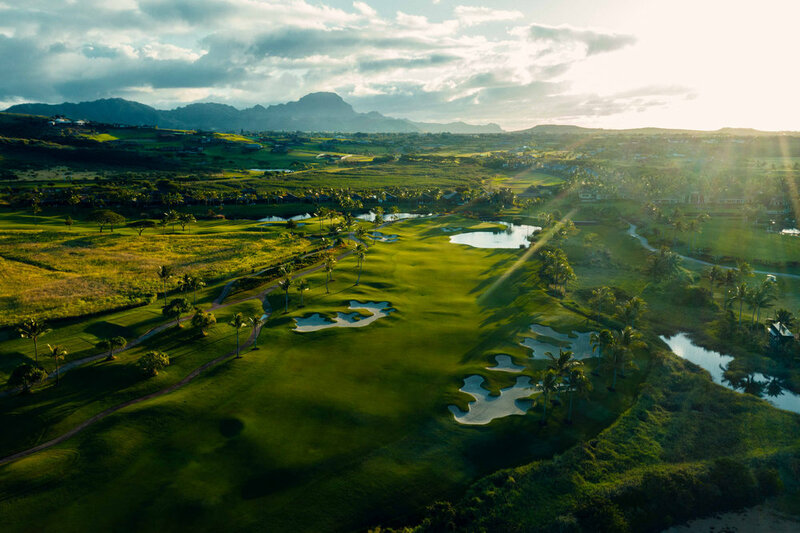 at The Club at Kukui'ula on Kaua'i’s south shore (@kukuiula) for eight spectacular days of adventure, quiet time, and deep work before I headed out to India. 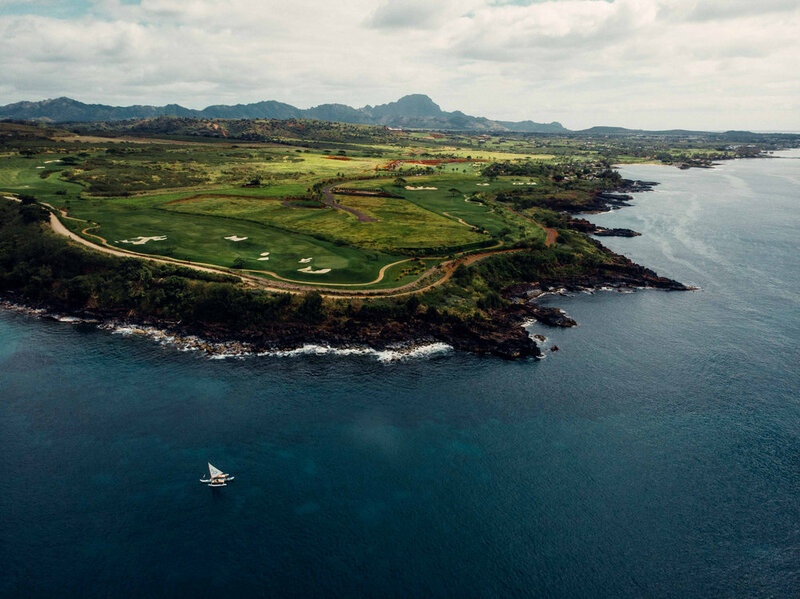 With a focus on living well Kukui'ula’s private community maintains a luxurious and highly exclusive experience without feeling stuffy. There are no gates, but an overall feeling of natural privacy. Only those staying at one of the lodge properties (three bedroom cottages, bungalows, or residences) are permitted on their more than 1,000 acre property - most of which is dedicated to the outdoors. It’s a barefoot, ride your bike around kind of place where everyone, even the general manager, will always greet you by your first name. I was a little worried as the weather in Hawai'i can be quite variable in February/March. As luck would have it we got sunshine every day and I ended up getting to show Sam so many of the things that made growing up on this island super special to me. 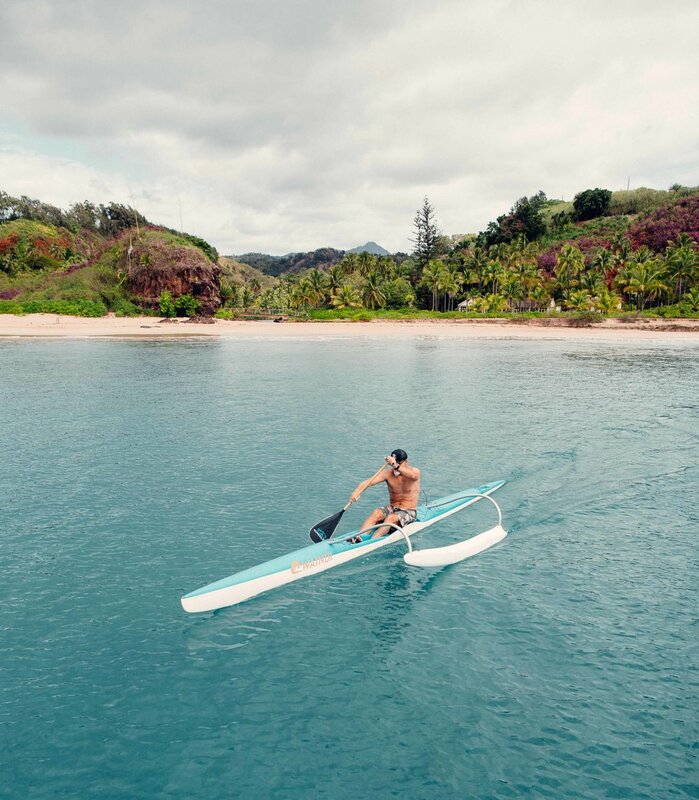 Since Kukui'ula has exceptional amenities like a beautiful boat, bikes, an archery field, an organic farm, and all the adventure supplies one could ever want, we woke up each morning and gave ourselves a few hours to make the most of it before settling in to work. 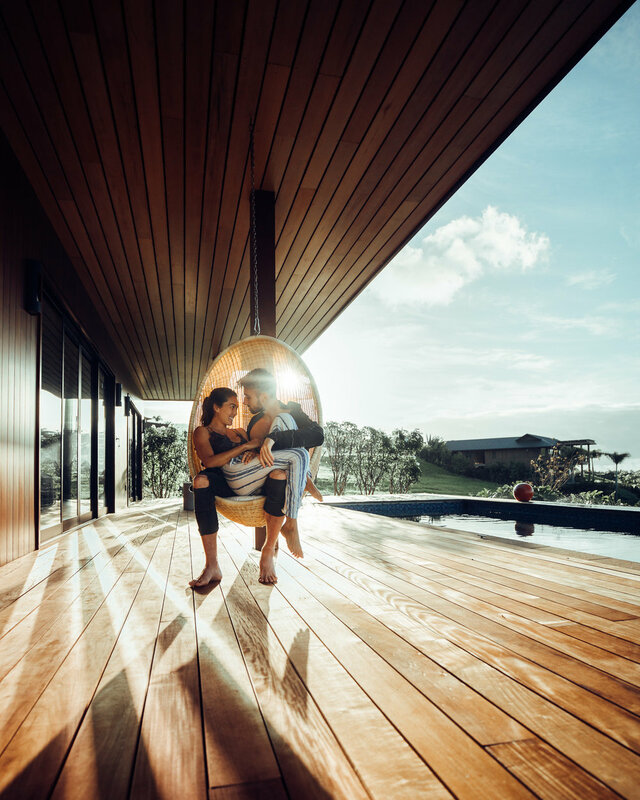 Kukui'ula, to me, is less of a place to stay and more of an entire lifestyle, a highly refined expression of what a life on Kaua'i could look like. Mine doesn’t always look like it quite yet, but I love having vivid and precise goals that I can work towards. Kukui'ula also host a monthly no-waste, locally sourced farm dinner on their hillside overlooking the south shore landscape. So bummed we missed it by one day! Even so, you can go up to the farm and pick your own produce or grab it fresh from a refrigerator at the club any day. It made making meals even more fun and special plus I love supporting local, diverse, organic agriculture. They even have food recycling programs so that the extra food doesn’t go to waste. Access to the spa. It’s one of Sam’s favorite spa’s in the world with their guided Seven step wet ritual, cold plunge, lush outdoor showers, and really great treatments. I had thrown my neck out doing jiujitsu the day before and could barely move but they fixed me up with a mix of acupuncture, a jackhammer-like Theragun, and some lomi lomi massage techniques. SO grateful. 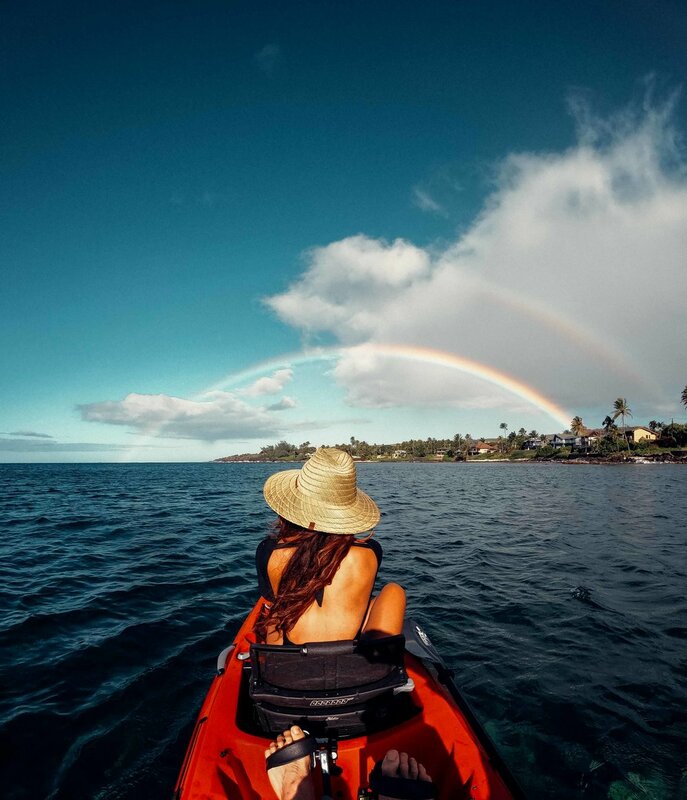 I actually used to work at Kuku'iula in the spa and as a private tour guide up until I made the transition to doing photography and social media full time. I’ll never forget how flexible and supportive my manager and coworkers were - letting me work a ton when I was on island so that I could take consecutive days off for shoots. It’s was such an honor to come back and experience that same spirit of community as a guest. Kukui'ula shopping center’s Culinary market. Held on Wednesday nights it’s like a gourmet farmer’s market with live music and specialty foods. Beach and cliff jumping at Shipwrecks (Sam has hundreds of hours of practice. Do NOT jump if you are not a strong swimmer or if you are newer to cliff jumping).